Wrestlers are crazy. To the outsider, wrestlers are a group of athletes who starve themselves only for the chance to roll around with sweaty guys in spandex. It is no wonder then that so many people do not understand the sport of wrestling. Why would anyone choose a sport which demands such sacrifice and seemingly offers no reward? What do wrestlers get out of their sport? Those outside our sport cannot not understand wrestling and therefore question the sport because the reward of wrestling is internal and must be experienced first hand. This internal experience is called delayed gratification, the idea that investment up front produces greater returns down the road. Everyone has experienced delayed gratification to some extent, but the experience is everything to wrestlers. Delayed gratification is their why, the impetus that keeps them dedicated to the sport. Wrestling offers no cheap thrills or easy victories; the only reward is the delayed gratification, but this payout far outweighs the intense investment the sport demands. After understanding the power of delayed gratification in wrestlers’ lives, their beliefs and actions no longer seem crazy. When I think about wrestling, the first words which come to mind are difficult and worthwhile. Better words though, are most difficult and most worthwhile, because I cannot think of a more rigorous and rewarding commitment I have made. Even though I have not surveyed every other wrestler I know, I predict that many of them would echo my sentiment. For all us wrestlers, hard work is at the core of our sport, and it begins each day during practice. Wrestling practice is the first place that wrestlers begin their journey on the path to delayed gratification. During practice, a wrestler must give maximum effort the entire time, even when his body is telling him to quit and only his mind tells him to continue. Despite arms and legs weighed down with exhaustion and a shirt soaked through with sweat, wrestlers do not let fatigue get in their way; they push past the point of exhaustion until their heart pounds so fast it feels like a techno beat. 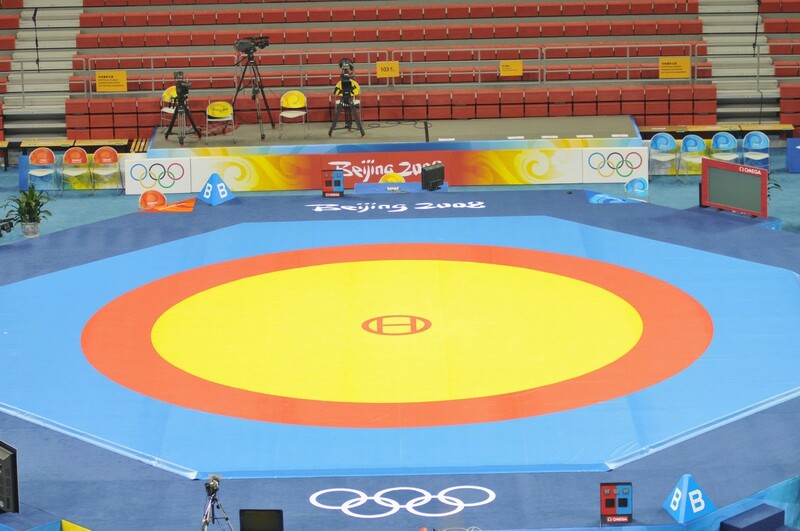 Completing hours of practice lays the grounds for the immeasurable rewards a wrestler experiences during competition. Before competing, however, the wrestler must make weight. Making weight also requires giving up instant gratification for the more fulfilling rewards of delayed gratification. Wrestlers give up pizza, bacon cheeseburgers, and all delicious but unhealthy foods. During the season, hunger is second nature and cotton mouth becomes the norm; wrestlers can often be found chewing gum or sucking on ice cubes just to keep their mouths from feeling like the Sahara desert. A wrestler makes these choices with a clear sense of purpose: the delayed gratification he will feel during and after competition. When wrestling in a match, it is just you and your opponent out on the mat. Competition provides a place to showcase the hard work you have put into the sport, and it is where you finally are rewarded for your effort. Because the outcome of a match falls entirely on your shoulders, you alone experience the validation that winning provides; a win reminds you why you have labored so intensely. Of course, winning every match is impossible, and losing is inevitable. For the same reasons that winning a wrestling match produces such pleasure—the individual nature of the sport—losing hurts like a blow to the gut. Losing means that all your hard work and sacrifice — the hours spent in practice and nights spent making weight—were not enough. A loss means your opponent is out-working you, and in order to overcome the loss, you must work harder Losing a wrestling match, however, plants seeds for even more delayed gratification, seeds that will bloom only after you have put in even more hard work, enough to beat your opponent in the rematch. Feeling disappointed and let down, after a loss a wrestler is faced with two choices. He can either choose to wallow in self-pity or to work harder and avoid another loss in the future. The wrestler who chooses the latter doubles down on his hard work and vows to change the outcome in the future. The delayed gratification he experiences after winning a rematch is the best feeling in wrestling. While other sports offer delayed gratification, it is integral to wrestling, woven into the fabric of the sport, surrounding the wrestlers like the singlets on their backs. Delayed gratification in wrestling provides such a clear link between sacrifice and success that whenever a wrestler is thinking about working hard he is implicitly thinking about how his effort will translate to success on the mat. The practice of his belief is the foundation of the sport. 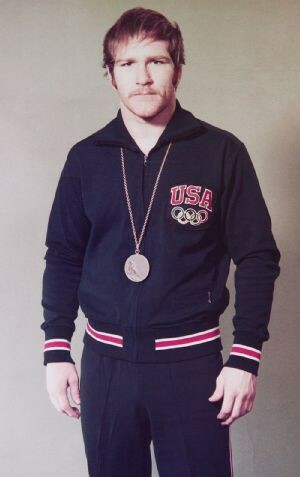 Dan Gable with his 1972 Olympic Gold Medal.